Product Activation was first introduced into the Windows family with the release of Windows XP in 2001. Activation pairs your product key with your computer. It is also used as a mechanism for copy protection in addition to defining support rights, depending on the product channel from which the software was acquired: Retail, OEM, Volume License, or Trial. With Windows 10, Microsoft has made huge announcements regarding product distribution. The most notable being that Windows 10 is free for existing Windows 7, 8/8.1 users for the first year. Regardless of this, product activation remains a part of Windows 10. In this article, we take a look at product activation and troubleshooting steps. 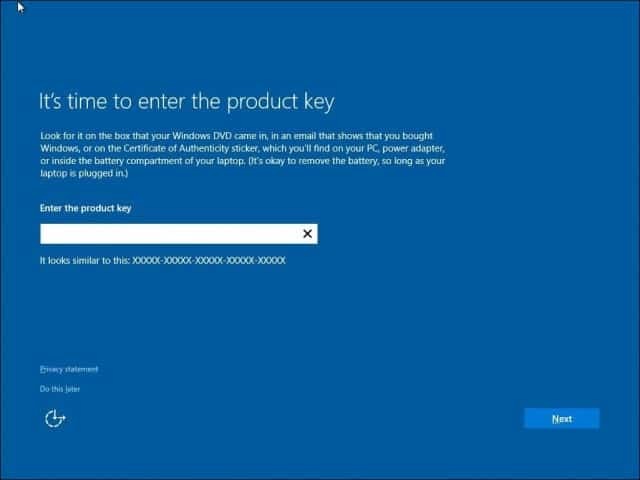 A Windows 7 or Windows 8/8.1 product key cannot activate Windows 10. Windows 10 uses its own unique product key. 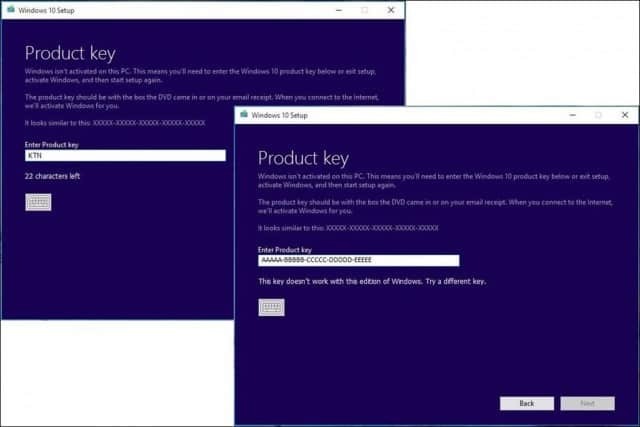 By default, Windows 10 builds are pre-keyed, meaning, you do not have to enter a product key and should not be prompted to enter one, as long as you upgraded from an activated Windows 7 or Windows 8 or Windows 8.1 license or Windows 10 Preview build. If you perform a clean install on the first attempt, you will have to start over from an activated Windows 7 or Windows 8.x installation. If you are prompted to enter a product key, click Do this later and give it a few days, Windows 10 will activate automatically. Activation servers might be overwhelmed at times because of the volume of upgrades, so give it some time if you get an error message such as (0XC004E003, 0x8007000D, 0x8007232b, or 0x8007007B.) Windows 10 will eventually activate as long as you upgrade using the appropriate method. In previous Windows releases, when you installed an upgrade version of Windows: if you wanted to reinstall the upgrade version, you had first to reinstall the qualifying version from which you upgraded, reactivate it, then upgrade again and reactivate again. With Windows 10, this is no longer the case. 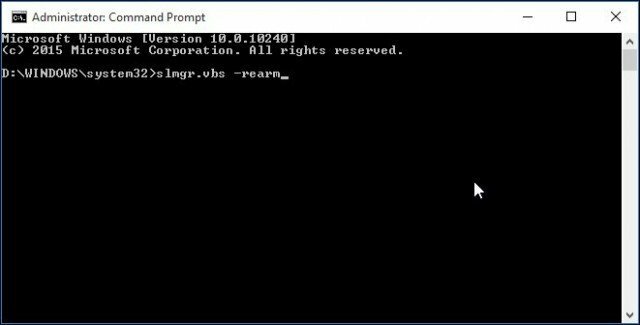 Once you are upgraded to Windows 10 and activated, you can simply create a bootable copy on DVD or USB and reinstall just Windows 10 without the need to reinstall the qualifying version, and it will reactivate automatically. Windows 10 registers the device with the Product Activation Center and keeps a copy of your device’s activation in a Cloud Store. When you perform reinstall or clean install the installation checks with Activation Server, detects the unique installation ID and produces the validation for your device. To activate Windows 10 build 10240 (RTM), you must upgrade from a previous qualifying operating system that is genuine and activated. This includes Windows 7, Windows 8/8.1, and Windows 10 Insider Previews. 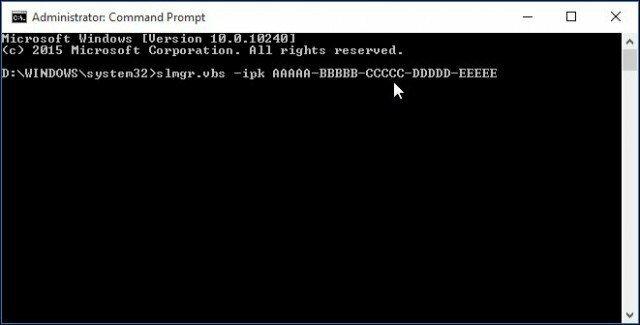 If you are running the Windows 10 Enterprise Preview, you either need to stay in the Windows 10 Insider Preview Program, or activate using a product key from the Volume License Service Center (VLSC.) If you are not eligible to be running Windows 10 Enterprise, I suggest you make preparations to roll back to the original version of Windows your system was licensed for, and make a reservation to upgrade to Windows 10. What if Windows Doesn’t Activate? If Windows 10 does not activate even after detecting an active Internet Connection, restart and try again. Or wait a few days, and Windows 10 should automatically activate itself. I downloaded the ISO file, but Windows 10 setup is prompting me for a product key or indicates the product key does not work with this edition. Please note: The copy of Windows 10 you download must correspond with the edition of Windows you are upgrading from. Windows 7 Starter, Home Basic, Home Premium, Windows 8.0 Core, Windows 8.1 Core must use a Windows 10 Home ISO. Windows 7 Professional, Windows 7 Ultimate, Windows 8.0 Pro, Windows 8.1 Pro must use a Windows 10 Pro ISO. Your currently installed copy of Windows must be activated. If it is not, you will be prompted to enter a product key. If you are using Windows 7 Enterprise, Windows 8.0 Enterprise, Windows 8.1 Enterprise editions you won’t be able to use the free upgrade offer. Again, you must ensure you are running a genuine activated copy of Windows 7 or Windows 8/8.1. Click Start, right-click Computer (Windows 8 or later – press Windows key + X > click System) then click Properties. Check to make sure Windows is activated. Select Do this later. Windows 10 will automatically re-activate within a few days. I just installed or reinstalled a preview build of Windows 10, and I want to upgrade to the final release, but it will not activate. Microsoft has suspended Preview Builds and also deactivated their product keys at this time. This means you won’t be able to download, install, or activate older builds such as 10162 and 10166 or earlier builds to qualify for the final release. Your best option is to reinstall a valid license you have for either Windows 7, Windows 8.0 or Windows 8.1, make sure it is activated, then upgrade from that to Windows 10 on July 29th or later. If you maintained your current activated Windows 10 Preview, you should be able to upgrade it to the final release. How do I check my activation status after upgrading? Go to Settings (press Windows key + I) > Update & security > Activation. Wait a few days and try again or just leave it and let it activate on its own. The activation servers might be overwhelmed. You can also try running the system file checker utility to see if it might resolve any problems that might be preventing product activation. The issues below are more likely to affect retail bought and volume license clients. You were never running a genuine Windows 7 or Windows 8 license. This issue particularly affects Windows 7 licenses. If you purchased your Windows 7 license from an auction website such as eBay or the Amazon, you might have mistakenly purchased a counterfeit copy. You can determine this by the product ID which determines your level of support. Scroll down to Windows Activation and look at the PID It will look something like the following 12345-067-1234567-54321, the portion you are interested in is the three digit section if it matches or is within one or two digits of the examples above you probably have an MSDN or TechNet key. They are genuine Microsoft product keys; they are actually retail licenses, but it is intended for a particular product channel – either the Microsoft Software Developer Network (MSDN) or TechNet for IT Professionals who pay a subscription fee. Although these licenses are intended for evaluation purposes, the great thing about them, unlike trial Microsoft software, they do not expire. Because the agreement under which the subscription is provided is a single license, none of the software should be distributed outside of it. Even though it is $50,000 worth of licenses, it is for one person only to use and no one else. Unfortunately, regardless of the licensing terms, individuals still abuse the program, either giveaway product keys or resell them on auction sites. Microsoft licenses it in good faith that customers won’t do so. If you discover that your license is from MSDN or TechNet, what probably happened is, you bought an MSDN licensed key, which carries up to 10 activations, unlike full packaged retail licenses which only carry 1 activation. The person who sold it to you probably sold it to 10 other people. Somewhere along the way, one of those persons might have installed it on a second system, activated it. 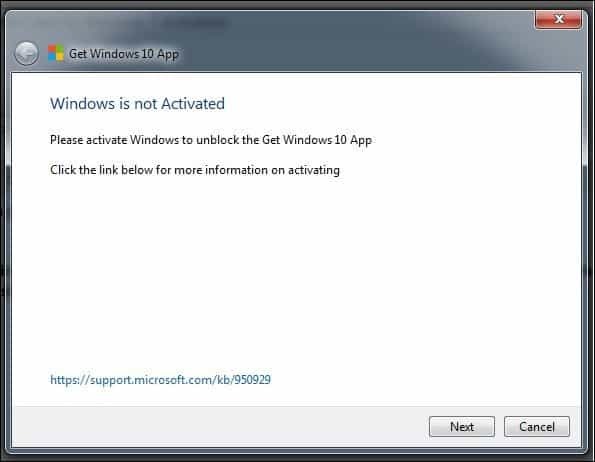 Because it went past the 10 activation threshold, Microsoft detected that it was being abused and blocked the key from further use. Click the ‘Validate Windows’ button, if the validation check fails, then click on the ‘Get Genuine’ button to get a WGA Kit. Microsoft also recently published a page that is worth a look, too. Activation in Windows 10. This is an interesting article. I’m having the same problem with my windows 10 pro update. I installed win 10 from an iso download and after a couple of upgrades I kept getting a message that Windows 10 pro needs to be authorized. When I try it fails. The same thing happen to my Office 2010 pro. I am unable to use it because the key that I have is not accepted. I gave up and although the it’s still loaded, I use one of the free programs that mimic Office. I had a licensed, activated copy of windows 8.1 Pro that I bought and paid for. I downloaded the ISO windows 10 Pro file and performed an upgrade of my 8.1 Pro to Windows 10 Pro. It activated fine. A couple of weeks later, I formatted my hard drives and did a clean install of windows 10 Pro. It would not activate afterwards. I called Microsoft and was told to wait a few days. I tried everyday for three weeks, it would not activate. I called again and they said “the ONLY way to activate a free upgrade is to do it after an install of windows 7 or 8.” They re-iterated that a clean install is not possible, even if I first did the upgrade from 8.1 Pro. She told me to re-install Windows 8.1 Pro, then perform the upgrade to windows 10 Pro. It worked when i did that. Again, a clean install is not possible unless you buy windows 10. Todd, in my case I do have a bought and paid for win 8.0 pro, but after installing the pro version of 10, I kept getting the message to activate it. Which of course it would not do. After I googled it and was given 3 separate answers, of which one activated my win 10 pro. There is help out there. Oh, I’m still not able to get the activation key to work for my office 2010 pro. Both of these programs were bought by me. Hello, great explanatory article! I wonder how to activate a guest windows 10 pro to run on a windows 10 pro hyper-v instance as you wrote here: https://www.groovypost.com/howto/create-virtual-machine-windows-10-hyper-v/#comment-640548? Hi, I upgraded from win 7 pro to 10. My laptop worked fine for weeks, then refused to start windows one morning. I tried the repairs available (advanced options, etc). I then downloaded the ISO file for win 10, that contains all the win 10 versions, I retrieved the win 10 pro product key from my drive, but during the win 10 installation it says the the key is invalid. Can anyone advise me, please. Thank you. I got the same error code. Even mine was an authorised copy of windows 8.1. I don’t know what to do. A product riddled with problems. When an update of windows TEN is done,some of my progremmes simply disappear. On windows 8 I never had any problems whatsoever. I cannot link to my printer. Got an expert in at great cost,he managed the link but as soon as the computer is switched off,that`s it,no more link. My ONLY alternative now is to go back to windows 8 until your team sort out all the crap on the system. Your better option would be get a real expert in and get it all working properly. What did his shop look like? Did you check the reviews of the ‘expert’ you got to help you (at great cost)? Maybe you should, there are loads of cowboy dabblers around, usually without premises and just a cellphone number. Be sure to leave a review and warn other people. Windows 10 is by far one of the most compatible versions of Windows *ever*. I’ve managed to get 15 year old printers to install, yes it in those extreme cases you may require an expert, but get a real one, or bring it here and I’ll get it all up and running properly for you – and yeah, that means after a reboot/power off too! Thanks Bro. Your blog is best than other professionals blogs. You share clear information about Windows 10. Did you figure it out? Each activation is tied to the computer it was originally activated on. If this has been working, I’m a bit surprised. Although, if the hardware is EXACTLY the same on each PC, it may work. I’ve seen that happen & it has worked for me occasionally. As I understand it, your only choice is to reactivate on the “new” device in which the drive was installed. I previously had a windows 7 home premium original copy which I did bought spending my money. It worked well. After win 10 launch I could successfully upgrade to windows 10 and the copy got activated automatically. There were talks around saying Microsoft is giving away free windows activation this time. So i made a USB copy of windows 10 PRO in to my flash drive and I DID A CLEAN INSTALL FROM THAT VERY COPY. Now I have Windows 10 PRO not activated. I cannot activate this using my windows 7 home premium product key. PLEASE HELP! I have a new build pic and have had trouble installing Windows 10. I resolved the issue with making a bootable disk to to the Windows install. My college offers a free Windows 10 education edition so I got the product key and it keeps saying invalid product key. Not sure where to go from here. Is it telling you bad Activation Key? Where did you buy it? Hey I took the upgrade from windows 10 from originally working windows 7 just find. No the product key pops up and won’t let me enter anything likes it’s froze. Please help is this a virus? Sumauran, I have not run into the error message you received, but there are numerous reasons why the error occurred. All things considered, when you get the 0xc00007b error, it generally means that some file in either the startup or activation process is corrupted. Not knowing exactly what your system configuration is, there is really no way to help you diagnose the problem. By this I mean the hardware configuration AND the software configuration. Some product that was/is installed on your PC is corrupt for some reason. It might be as simple as the file is fine, but the version of that software will not work with Windows 10. That said, I listed a few things below which may or may not be helpful. The most common thing with this error is a corrupted file of some type did not load/could not load or was not installed correctly. Be sure you are upgrading to the correct version of Windows. You cannot upgrade from Windows 7 Home to Windows 10 Pro, unless you know some serious hacks to apply to the system being updated. I ran into this just the other day. I was doing a Windows 8.1 Home update to Windows 10 and grabbed the wrong DVD when I started the upgrade. The upgrade will go through “fine”, but when you try to activate it, you might as well forget it. I looked at the Windows 10 DVD that I was using to upgrade from and it was Win 10 Pro. The upgrade will proceed “normally”, but it won’t activate because of a version discrepancy. I backed that upgrade out and re-did it to Windows 10 Home – no problems. Never even received an activation prompt, as it activated fine. But, none of this is getting you around the issue you are having. Exactly where in the process did you receive this error? During the actual upgrade? During the reboot after the upgrade? When you tried to enter an activation key? After you entered an activation key? Where? Another “gotcha” is common – the PC you were upgrading did not have all the updates on it. The Windows 10 upgrade does check for updates, but I would not count on that to apply the necessary updates prior to upgrading from one OS version to another. I believe when Windows 10 checks for updates during an upgrade, it is checking for Windows 10 updates. Check to make sure that all the versions of the installed software are compatible with Windows 10 or make sure they can be updated to make them Windows 10 compatible. Will the PC boot is Safe Mode? If so, it is something that does not load in Safe Mode but DOES load during Normal boot. Spiwe, First, is this a clean installation or an upgrade? If it was/is an upgrade, you have to upgrade to the same version you had on your computer. For example, home version to home version; enterprise version to enterprise version. In a similar situation with Office 2013, I booted my computer, then disconnected it from any network – wired or wireless. Then, I was able to activate it via the phone option. Worked great. I have also used process to activate wayward copies of Windows 10. At this point, I would try the activate by phone option. It’s a bit tedious with all the characters you have to enter. But, it might help you get your Windows 10 Enterprise activated. It has an activate button and when I click on it the little blue circle spins one time and then it appears that nothing has happened. It has been like this for nearly 3 days now. I have no idea what has happened but now my computer is no longer activated, will this effect my software validity or what? I’m not sure if this will render my computer ineffective at some point in time. This matter was entirely from some random website forcing my computer to download a strange file which I deleted as soon as I could find it. I even ran an anti-virus scanner and it didn’t find anything. I ran it multiple times and it found nothing. I’m just hoping you might have heard of something like this and know how to fix it? If the key is not working, it might be an invalid key or already used. I would call Microsoft. I have just sold my old laptop with Windows 10 Professional on it. My newer desktop had Windows problems, so I created a memory stick boot disk on my laptop to reinstall Windows 10 on my newer desktop. It says my key is invalid and i must activate Windows to do a lot of things? i have a laptop with windows 10 . it dosent work coz it says it hasent been activated yet what should i do??? This is a sticky problem, to say the least. After upgrading 50+ PCs to Windows 10, I have seen this several times. When you run into a problem activating your copy of Windows 10 x (x=Home, Pro, or Business), wait about 30 minutes and try again. If it still won’t activate, disconnect the PC from the internet and follow the “activate by phone” instructions. I thought I had them in a document, but not on this PC. There are multiple documents on the internet that outline the process. I have had to use this method three times. Each time, it has worked. I will continue to see if I can find the process (activate by phone) on one of my systems. It’s a bit tedious, but it works. Im a tech and im dealing with the same issue here i have a client with a valid product key but i keep getting errors and error codes relating to server issues “0x8007007b” now ive tried multiple command methods but to no avail also its not the network ive managed to conect the clients pc to a hotspot and the company network. the OS im dealing with is Windows 10 Pro. Its not possible to do a clean install on this pc since its constantly in use so thats not a option unless a hhd explodes. This is a fix. I had a problem with Windows activation when I did a system restore. It said that my Windows did not match my hardware. So, after not finding any good advice online for this problem, I followed the link to the Windows Store to bite the bullet and buy the key. I didn’t have to, it activated it when I went to the store. Well, actually it said “sorry, can’t activate” (paraphrased) first. However, I clicked the activation button (this is on the Windows Store page) again and it just…well…worked. Other than on the back of my laptop or in the battery compartment, is there any way to find the porduct key for windows within the OS files? I could not use my computer for a time. Recovery from settings, including the troubleshooter, did nothing. *Follow prompts and your computer should work again! When I tried to reset under normal startup, I was told my computer could not “verify the product key.” With advanced startup, I fixed it. I would love to help others with my issue. These steps could fix many computers. We had done a factory restore on a Windows 8.1 computer, then decided to do a clean installation of Windows 10, so I didn’t think we’d need to activate the previous Windows version before installing the new one. 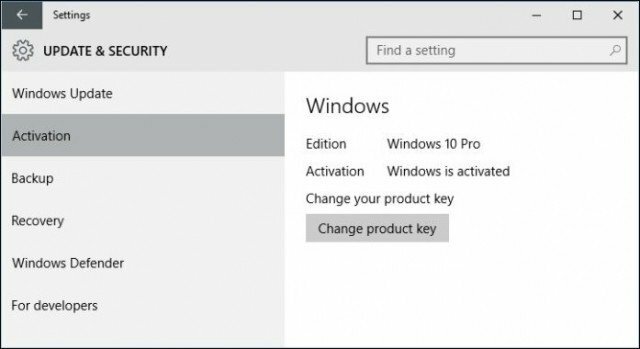 However, Windows 10 would not allow the new product key to be entered so we could activate it. Your solution for volume license keys fixed the problem. Thank you!